The latest Bob Evans menu prices! Bob Evans Restaurants is an American chain of eating places that specialize in classic breakfast favorites like sausages, hotcakes, and omelets. The Bob Evans menu also includes Lunch and Dinner classics. A family-friendly restaurant, younger guests will find a special kids menu. All locations open at 6:00 am to serve breakfast. Below are the latest Bob Evans menu prices. Need help planning your next social event or corporate gathering. Bob Evans helps guests plan the perfect event. Whether the event calls for breakfast or lunch, Bob Evans offers Farm-Fresh choices. Guests can call their local Bob Evans location or place an order online. Farm fresh does not have to refer to eggs. Go ahead and give a Bob Evans gift card and share a farm fresh favorite with someone you love. Guests can purchase traditional gift cards online and have them delivered via postal service. For the last minute gift, purchase an e-gift card and have it delivered to the recipient’s email inbox instantly. For those guests that are following a calorie restricted diet to stay fit, Bob Evans offers a special menu that has flavorful food options with less than 600 calories. Just because you can’t visit Bob Evans does not mean you should go without one of your favorites for lunch. All you need is a computer with Internet access or a smartphone and a car. Go online and place your order at your favorite location, tell them what time you want your meal to be ready and head over. By joining the Farm Fresh Ideas club, members get to enjoy special benefits. Explore unique recipe ideas on classic and modern day dishes. A compilation of useful tips & tricks to help meal preparation less stressful. And a personal recipe box where guests can save their favorite recipes. Sign up for BEMail and be the first to learn about new meals and receive special deals. It only takes a few minutes and is free to join. Bob Evans believes in giving back to the communities where they operate. Bob Evans hosts community fundraisers throughout the year for local schools or other local groups where 15% of sales are donated. Bob Evans’ employees volunteer their time with national charitable organizations. The Bob Evans Restaurant chain began in 1946 as a single location, 24-hour truck stop, near the Bob Evans Farm in Rio Grande, Ohio. Early on, guests kept complimenting Bob Evans on the great tasting sausages being served. That was the push needed to turn a 12-stool truck stop location into the brand it is today. Bob Evans Restaurants is a publicly traded company with headquarters in New Albany, Ohio. Be sure to follow and connect with Bob Evans Restaurants through several social media platforms. For more information about Bob Evans locations and the latest news, visit their official website. Today, there are 500 locations in 18 states, with most of them situated in the Midwest, Mid-Atlantic, and Southeast. Where can you get a nutrition guide for Bob Evans menu? The health and safety of guests are very important to Bob Evans. To help guests maintain their nutritional goals, Bob Evans offers a complete nutrition guide for each of their menu items, on their official website. 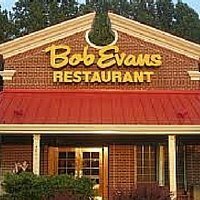 Be sure to visit before heading to Bob Evans. For those with food allergies, Bob Evans makes it simple to research which allergens are included in their dishes. Again, allergen information can be found on the official Bob Evans website. You aren’t, your awesome dude. So much to choose from ?